The MEDIAPRO Group reported its annual results for 2018 with revenues of almost 2 billion EUR, a 20% increase over 2017, and with recurring EBITDA of 222 million EUR (190 million EUR in 2017). Group investments amounted to 69 million EUR with the Group's net debt standing at 442 million EUR at year-end. The Group closed several strategic rights agreements in 2018, including Ligue 1 and Ligue 2 in France, the FIFA World Cup Qatar 2022 and the Canadian League. Content production also sustained considerable growth and the Group continues the consolidation of its eSports division expansion, while maintaining its position as a world leader in the provision of audiovisual services. Its team of professionals grew in 2018 to 6,695 (4,765 in Spain), creating 1,080 additional jobs (701 in Spain). 2019 Group's objectives include continued organic and inorganic growth of all its divisions, the expansion of activities in Latin America, consolidation of its presence in Asia, strategic development of its digital area and bolstering content creation worldwide through THE MEDIAPRO STUDIO, development of the domestic rights to the French league and breaking ground on its production activities in Canada. In 2019 the Group is also celebrating its 25th anniversary with a host of celebratory activities planned. In recent years, MEDIAPRO Group's content creation and production has taken a significant qualitative and quantitative leap. Through its production companies (Globomedia, 100 Balas, Big Bang, K 2000, Mediapro, Burman Office and Mediasur), the Group produces drama and entertainment (27 programs accounting for over 3,600 broadcast hours on the principal Spanish operators) for a diverse client portfolio (HBO, Netflix, Amazon, YouTube, Movistar, FOX, Atresmedia, Directv, Mediaset Spain, BeIN SPORTS, Viacom, Disney, HITN, Nickelodeon, TVE, YLE, Sony, Flooxer, MGM, Vice, RCN, Canal Trece, HULU Japan, TF1, A + E Networks, RAI, SONY ESPN, lVP, Televisa, Univision, Artear, MEGA, Chile Vision, Playz, Globo Internacional, Turner, GOL, TNT and other regional channels). In 2018, the content division, now grouped under THE MEDIAPRO STUDIO, delivered important projects such as "Vota Juan", "Six Dreams", "All or Nothing: Manchester City", "Locked Up", "I'm Alive" and TV dramas "Victim Nº 8", "N00bees" and "Side Games". Movie projects include "My Masterpiece", by Gaston Duprat and "4x4" by Mariano Cohn with shows like "El Intermedio", "Zapeando", "Ninja Warrior", "El Conquistador del fin del mundo" and "La Báscula" in entertainment. Non-fiction feature films included "The State's Secret Cesspit", "Grietas", "Special Case Nº 20907/2017", "1-O" and "20-S". MEDIAPRO productions for Amazon "Six Dreams" and "All or Nothing: Manchester City" have been nominated for 5 Emmy Awards. The incorporation of Carlos Herrero (Head of Entertainment at Globomedia) and Javier Olivares and Fernando González, represents substantial added value for the Group's creative team. The Exhibitions division developed projects including the new Atlético de Madrid museum; The Zone of Hope, the immersive virtual reality experience and design on climate change in Aigües de Barcelona; the Ciudad de Mexico Museum and the ceremony of the Day of the Dead in the Plaza del Zócalo (Mexico City). The purchase of the rights for league competitions in France and Canada represents a huge impetus for the Group's international activity in the area of rights. The Group will exploit the rights of Ligue 1 and Ligue 2 in France during a period of four seasons, from 2020-21 to 2023-24. The Group was also awarded the rights to the FIFA World Cup Qatar 2022, the first World Cup ever held between November and December with forecasts of greater television consumption expected and MEDIAPRO will create a 24h channel to guarantee the best and most complete coverage. The agreement with FIFA also includes the awarding of the rights to the FIFA Women's World Cup 2019 taking place this summer (June-July) in France, in line with the Group's strategic commitment to the promotion and development of women's soccer and to ensure greater visibility for competitions. The Spanish team is in Group B along with Germany, China and South Africa. The renewal of the contract with LaLiga for International rights to the competition, rounds off an excellent year in 2018 for the rights division. MEDIAPRO's appointment as Host Broadcaster for the production of the Pan American Games and the Parapan Am Games (Lima 2019) consolidates the Group's position as one of the leading audiovisual services providers in the world. Group professionals will provide services and the official signal for all the competitions from the 24 venues, in addition to the opening and closing ceremonies for television networks worldwide. The Pan-American Games are the largest international sporting event in which athletes from all over the Americas participate. 600 professionals, 16 Outside Broadcast Units and 300 tons of equipment will be deployed to cover almost 2,800 sporting events. The Group was awarded the contract by the South American Football Confederation (CONMEBOL) to run its production HUB for the next 4 years, producing the signal of 3 competitions and 263 matches. The 2018 FIFA World Cup in Russia, which took place in June 2018, was also an important milestone for the audiovisual services division. More than 300 professionals travelled to Russia with 10 4K OB Units to provide coverage for channels from 40 countries throughout Africa, Europe, Asia and North and South America. From its offices in Morocco, Tunisia, Gabon, Angola and Kenya, MEDIAPRO Group's professionals were responsible for the production of the principal sporting events held in the African continent, including highlights such as the Kenyan and Angolan league competitions, which are just two of the 16 national competitions produced by the MEDIAPRO Group with a production of up to 150 sporting events per day in Europe, Africa and Latin America. MEDIAPRO also provides VAR services to league competitions in 14 countries, including Spain, Portugal, Greece, the United Arab Emirates, Mexico and Chile, and the CAF and CONMEBOL competitions, with FIFA approval. The audiovisual engineering division, with a team of 100 engineers and specialized technicians developed and delivered projects in 3 continents, highlights of which include the design, construction and operation of the France 24 channel in Spanish in Colombia and the installation of the clinical simulation laboratories at the Universitat de Barcelona Faculty of Medicine. The Digital & eSports division was by far the area within the Group that underwent the most impressive growth in 2018 situating itself as a strategic business unit for the Group's future. Significant international expansion, powered by the LVP (largest Spanish eSports competition in the world) with competitions in Spain, Mexico, Colombia, Argentina, Peru, Chile and the United Kingdom, served as the premise for creating UBEAT (eSports content platform in Spanish). The Group's strategy in this area also included the integration of The Breach Studios to design and launch video games. The Group's Innovation Division also underwent significant growth in the areas of virtual reality and artificial intelligence. In 2018, the division produced virtual reality content for football leagues in Spain and the United Arab Emirates. Finally, the MEDIAPRO Group signed a 3-year collaboration agreement with the Barcelona-based SONAR Festival to explore 360º immersive content production. The Audiovisual Group, present in 36 countries, has opened 18 new offices in Serbia, Croatia, China, Canada, Peru and Egypt, reaching a total of 58 delegations. The incorporation of Orient Hontai into the Group's shareholding structure is enabling expansion throughout Southeast Asian, with the opening of delegations in Shanghai, Beijing and Hong Kong. 2018 was also the year of the Group's expansion into Eastern Europe, with the integration of VPK, the largest independent television production company in Slovenia. Based in Ljubljana, VPK PRO specializes in the production and transmission of events as well as the creation of television programs with offices in Serbia (Belgrade) and Croatia (Zagreb). In South America, activity in Mexico was also subject to great growth with the incorporation of COMTEC, one of Mexico's leading audiovisual services production companies. MEDIAPRO Canada has announced the acquisition of Tri-Lite TV, a Canadian production company with more than 20 years' experience. Tri-Lite TV based in Ontario, also offers a production center with 500 m² of studio space, MCR's, technical systems and equipment for the production of events covering a wide range of sports, entertainment and news both in Canada and in USA. The company incorporates 3 HD OB Units into the fleet of the MEDIAPRO Group. MEDIAPRO recently acquired the global media rights for the next 10 years to the Canadian Premier League, a new competition that will launch on April 27th with more than 130 scheduled games for the first season over an extensive geographical area of more than 6,000 kilometers: from Halifax to Victoria Island. 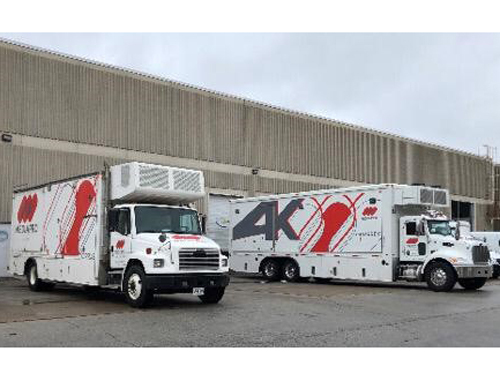 MEDIAPRO Canada has 5 OB Units (a recently acquired 4K) to meet this important challenge. Chris Priess, president of Tri-Lite TV, has joined the MEDIAPRO team in Canada as General Manager of Broadcast Services. Óscar López, CEO of MEDIAPRO Canada, stated that "Tri-Lite TV was ideally suited for our expansion given their remote broadcast experience and their diverse customer base, and it is respected for the quality of service it delivers. We see it as a natural fit within our business and look forward to working with Chris and the rest of the team to continue to grow MEDIAPRO throughout North America." MEDIAPRO has made a significant investment to ensure that all Outside Broadcast Units are capable and have the quality to offer the retransmission of major events. The 4K OB Unit is an example of the MEDIAPRO Group's commitment to always offering the highest quality standards in its audiovisual productions. Chris Priess said: "Joining MEDIAPRO is certainly a proud moment for myself and the rest of our great team. We are excited to be working with Oscar and the wealth of experience everyone brings as we quickly expand our services to all our valued clients. We are just getting started, and further expansion is already being planned. We are very excited about the future." “Locked Up”, the hit television series produced by Globomedia (THE MEDIAPRO STUDIO) for AtresMedia and produced for FOX in its last two seasons is coming to the Asian country's screens after an impressive international tour, captivating many different regions. 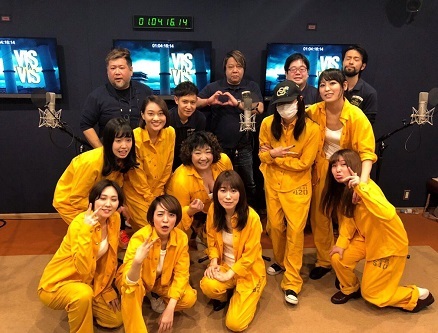 Over the course of 2019, this prison thriller will be entirely broadcast, exclusively and for the first time in Japan, following the agreement reached between Imagina International Sales and Hulu Japan. This means that “Locked Up” is the first Spanish series to reach Hulu Japan. The fiction series will be coming to Japanese audiences on April 23rd. It will be offered in the original language with subtitles, as well as a dubbed version, both online and offline. The pilot will also be broadcast on the number-one open television channel NIPON TV, sister company to HULU JAPAN, as part of their program "Hulu Episode-1 Theatre." Throughout its first three seasons, “Locked Up” has starred big-name actors such as Najwa Nimri and Maggie Civantos. The fourth season brought us actors in league with Benjamín Vicuña, as well as artists including La Mala Rodríguez. This is not the first time it has been selected as the number-one Spanish series by an international partner. This series has unquestionably opened the door to Spanish products. It was a Spanish pioneer series broadcast free to air in the United Kingdom, and the same occurred with Amazon Prime US, whose first experience offering a Spanish series was with “Locked Up”. This is a new step on the long road to domestic and international acknowledgement. International buyers include companies such as Walter Presents, Amazon Prime US, the Greek channel ERT and more. In Spain, the first two seasons of the series were broadcast on Antena 3. FOX Spain broadcasted the third and fourth season, which ended up on February 2019, becoming one of the most viewed paid fiction contents in Spain. “Perdida”, the new original series from Atresmedia Televisión for prime time airing on Antena 3, has begun filming. This tense emotional thriller narrates the story of a husband and wife who will go to any lengths to find out what happened to their daughter as the intrigue takes them from Spain to Colombia. Daniel Grao stars in the series together with Ana María Orozco, Carolina Lapausa, Fernando Solorzano, Melani Olivares and Verónica Velásques, who lead a cast of more than one hundred actors from Spain, Colombia, Mexico and Cuba, including Jon Arias, Adriana Paz, Luis Miguel Hurtado, Juan Carlos Messier, Pedro Suárez, María Barreto, David Trejos and Mario Bolaños, among others. As with all new Atresmedia Series label productions, each episode of the Spanish drama with an international reach will have a duration of 50 minutes. The entire filming will be shot on location at more than 120 different natural exteriors and interiors in both Valencia and Bogota. “Perdida” is produced by Atresmedia Televisión in association with Big Bang Media (THE MEDIAPRO STUDIO) and was created by Natxo López, based on an original idea from Ruth García. Sonia Martínez and Alberto Carullo are the executive producers on “Perdida”, with Juanma Manzanares and Natxo López as co-executive producers. The series is directed by Iñaki Peñafiel, David Ulloa and Rafa Montesinos, and screenwriters include Natxo López, Almudena Ocaña, Aurora Graciá, Carlos de Pando and Mikel Barón. Present day. Bogota, Colombia. A hotel room. A man, Antonio, swallows pellets filled with cocaine. He seems nervous, but he continues swallowing. When finished, he makes his way to the airport quietly and reserved, where he is arrested. This is how "Perdida" starts, a tense emotional thriller narrating the story of a husband and wife who will go to any lengths to find out what happened to their daughter as the intrigue takes them from Spain to Colombia. It’s here that a father will make the difficult decision to explore the darkest corners of foreign prison in La Brecha -Colombia, in a desperate attempt to discover his daughter’s whereabouts. The series narrates the journey that will lead this family to uncover the real reasons why a five-year-old girl disappeared without a trace. "Perdida" strives to reflect the different points of view; each character is motivated and with sufficient reason to take the legitimate steps required to take some extreme decisions in order to recover a child and once again hold them in their arms. Over its 90 years of history, LaLiga has hosted the world’s best players with multiple moments of footballing brilliance and spades of passion. Hitherto unknown stories, unforgettable matches and moments which will live forever in fans’ memories. The content for the series was produced by THE MEDIAPRO STUDIO for LaLiga, with teach episode lasting 30 minutes and set to be broadcast every month and which feature some of the great names who’ve been part of the LaLiga story sharing their experiences and why they star in some of the most exciting stories from across the last 90 years. Players, clubs, managers, referees, unforgettable moments, great goals, records and milestones that have gone down in history and helped to make it the greatest league in the world. 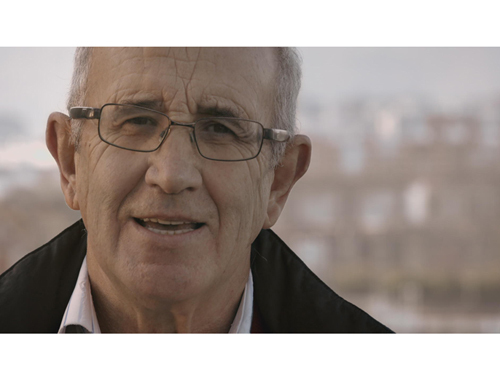 The first episode is "The manager: Javier Irureta". Broadcast free-to-air on GOL, LaLigaSportsTV, LaLigaTV and beIN LaLiga with repeat showings across all platforms. Irureta is, after the late Luis Aragonés, the coach who has managed most matches in the Spanish First Division. From 1984 to 2017 he managed CD Logroñés, Real Oviedo, Racing de Santander, Athletic Club de Bilbao, Real Sociedad, RC Celta de Vigo, RC Deportivo de la Coruña, Real Betis and Real Zaragoza. In upcoming episodes, LaLiga fans will be able to enjoy "El portero: Abel Resino", and "El Rey de las ligas: Paco Gento", as well as "El gol al primer toque: Hugo Sánchez", among other episodes. 12 instalments sharing some of the great LaLiga stories of the last 90 years of history. Imagina International Sales closed several sales agreements with important partners in Europe, America and Asia during MIPTV 2019. The great co-production between The Mediapro Studio and Direct TV, SIDE GAMES continues to bring international success. After airing on Movistar España and Sky México, it was purchased by TLT (LaTeleTuya) in Venezuela and Tanweer Alliances in Greece. It was also purchased by Global Content and Pickbox in the ex-Yugoslavia. 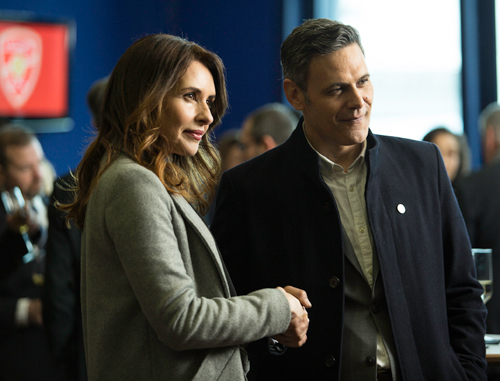 The alliance with Global Series, the prestigious platform known as Walter Presents, is solidifying itself through new agreements in Belgium for The Mediapro Studio's productions “Locked Up”, “Night and Day” and “Lifeline”. “Love to the Test”, the season's newest format on Ecuavisa, will also be reaching Honduras on Canal 11. This reality show was co-produced by The Mediapro Studio and Ecuavisa. In Asia, the classic “In the Heart of the Ocean” was purchased by BGMC in South Korea. 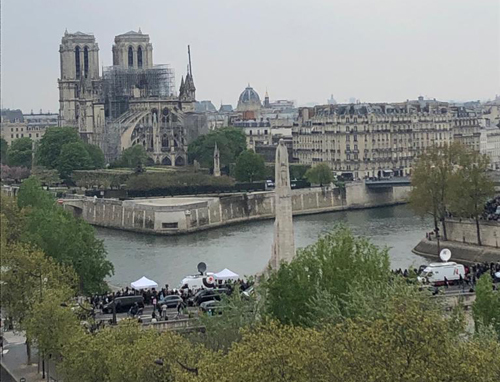 Overon provided immediate news broadcast services following the fire which hit Notre Dame Cathedral on April 15th. Staff from the Brussels offices travelled to Paris with 2 DSNG’s and other broadcast equipment immediately after the start of the blaze and were backed up early the next morning by a second group of technicians with 3 more 4G units. A total of 8 people provided live feed services from Tournelle Bridge, overlooking the cathedral for both Spanish and international networks.